Nizhny Novgorod Oblast (Roushie: Нижегоро́дская о́бласть, Nizhegorodskaya oblast) is a federal subject o Roushie (an oblast). Its admeenistrative center is the ceety o Nizhny Novgorod. Population: 3,310,597 (2010 Census). The oblast is crossed bi the Volga River. Apairt frae Nizhny Novgorod's metropolitan aurie, the biggest ceety is Arzamas. Near the toun o Sarov thare is the lairgest an the maist famous convent in Roushie, established bi Saunt Seraphim o Sarov - Diveevo convent. 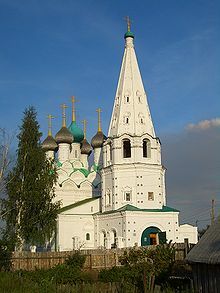 Makaryev Monastery opposite the toun o Lyskovo uisit tae be location o the lairgest fair in Eastren Europe. Ither historic touns include Gorodets an Balakhna, locatit on the Volga tae the north frae Nizhny Novgorod. 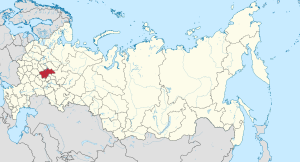 The oblast covers an aurie o 76,900 square kilometers (29,700 sq mi), which is approximately equal tae the entire aurie o the Benelux kintras. Agricultural land occupees 41% o this aurie; forests, 48%, lakes an rivers, 2%; an ither lands, 9%. Nizhny Novgorod Oblast borders Kostroma Oblast (N), Kirov Oblast (NE), the Mari El Republic (E), Chuvashie (E), the Mordovie (S), Ryazan Oblast (SW), Vladimir Oblast (W), an Ivanovo Oblast (NW). Nizhny Novgorod Oblast is no rich in naitural resoorces, which are, maistly, limitit tae commercial deposits o saund (includin titanium-zirconium sands), cley, gypsum, peat, mineral saut, an timmer. 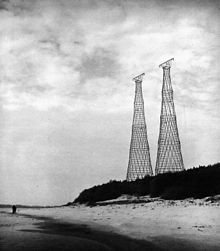 The unique airchitectural construction—the 128-meter (420 ft) steel lattice hyperboloid touer biggit bi the Great Roushie ingineer an scientist Vladimir Grigorievich Shukhov in 1929—is locatit near the toun o Dzerzhinsk on the left bank o the Oka River. Population: 3,310,597 (2010 Census); 3,524,028 (2002 Census); 3,714,322 (1989 Census). Accordin tae the 2010 Census, ethnic Roushies at 3,109,661 made up 95.1% o the oblast's population. Ither ethnic groups includit Tatars (44,103, or 1.4%), Mordva (19,138, or 0.6%), Ukrainians (17,657, or 0.5%), an various smawer groups, each accoontin for less nor 0.5% o the oblast's tot population. Additionally, 42,349 fowk wur registered frae admeenistrative databases, an coud no declare an ethnicity. It is estimatit that the proportion o ethnicities in this group is the same as that o the declared group. Births increased bi 7.7% an daiths decreased bi 1% in 2008 compared tae 2007. Accordin tae the Federal Migration Service, 20,450 foreign ceetizens wur registered in the oblast in 2006. The actual nummer o foreigners residin in the oblast as o 1 Juin 2006 wis estimatit tae be ower 22,000. The oblast ranks seivent in Roushie in industrial output, while the processin industry predominates in the local economy. Mair than 650 industrial companies employ nearly 700,000 fowk, or 62% o the wirkforce involvit in material production. Industry generates 83% o the regional GDP an maks 89% o aw material expenditures. The leadin sectors are ingineerin an metalwirkin, follaed bi the chemical an petrochemical industries an the forestry, firthwirkin, an paper industries. The first three sectors accoont for aboot 75% o aw industrial production. The oblast haes tradeetionally been attractive tae investors. In 2002, Moody's ratin agency confirmit a Caa1rating based on the region's lang-term foreign currency liabilities. The region maintains tred relations wi mony kintras an haes an export surplus. The lairgest volume o exports goes tae Ukraine, Belaroushie, Swisserland, Kazakhstan, Belgium, an Fraunce. Imports come mainly frae Ukraine, Germany, Belaroushie, Kazakhstan, Austrick, Netherlands, Cheenae, an the Unitit States. 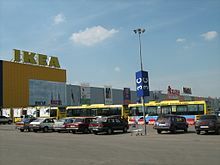 The stock mercat infrastructur is quite well developit in Nizhny Novgorod, an the exchange business is expandin. Companies an organisations registered in the region include 1153 jynt-stock companies, 63 investment institutions, 34 commercial banks, 35 insurance companies, 1 voucher investment fund, 1 investment fund, 17 nongovernmental pension funds, 2 associations o professional stock mercat dealers, an 3 exchynges (stock, currency, an agricultural). The oblast is notit for haein relatively heichlie developit mercat relations. The day, the region needs serious pairtners interestit in equitable, lang-term, mutually beneficial pairtnerships. Thir key industries are supplementit bi ither sectors o the economy sic as agricultur, tred, services, communications an transport. This page wis last eeditit on 8 Mairch 2018, at 05:13.